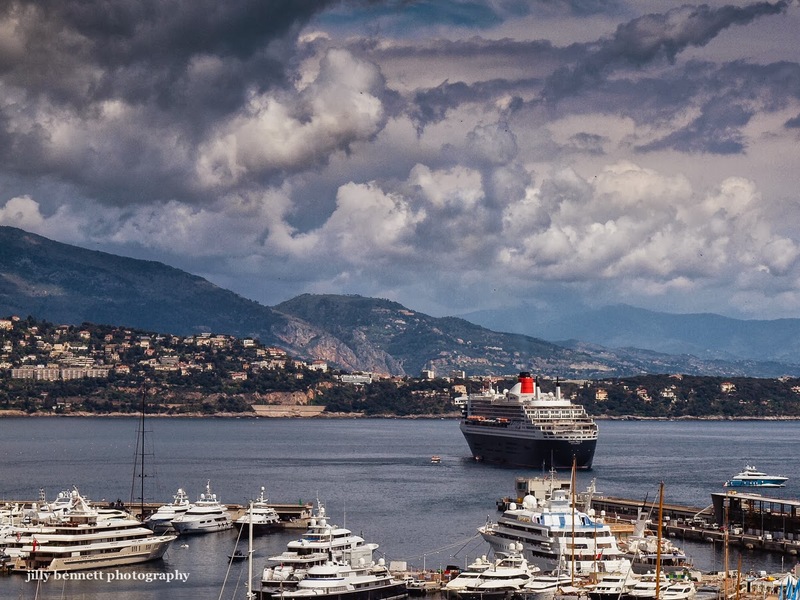 Port Hercule on a day we had dramatic clouds roll in. The drama in the sky gave you the perfect photo op. The Principality's waters look tiny in the angles of this photo, but of course once you realize the size of the cruise ship, it's bigger than you think. FYI: This is a multi-national photo, starting with Monaco's harbor and France & Italy in the distance! Maybe you could label the different towns so it's clear for those who aren't familiar with the eastern coastline.